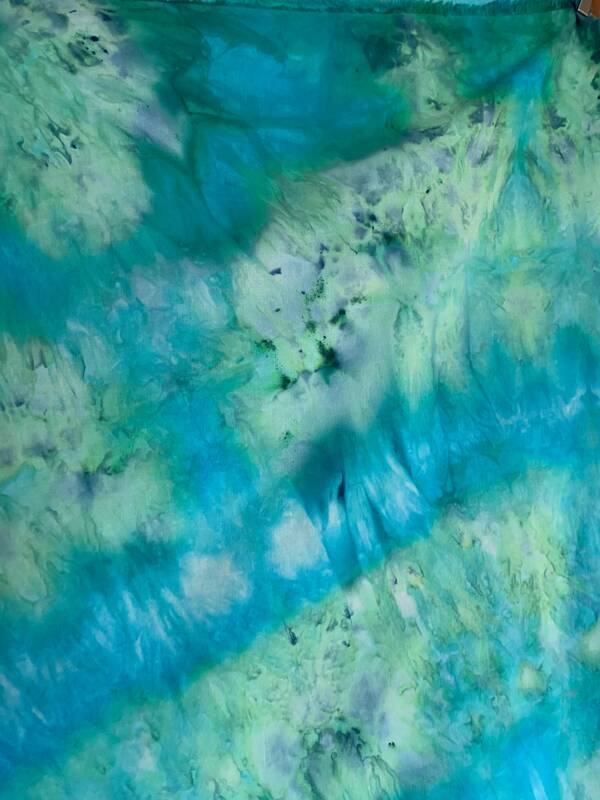 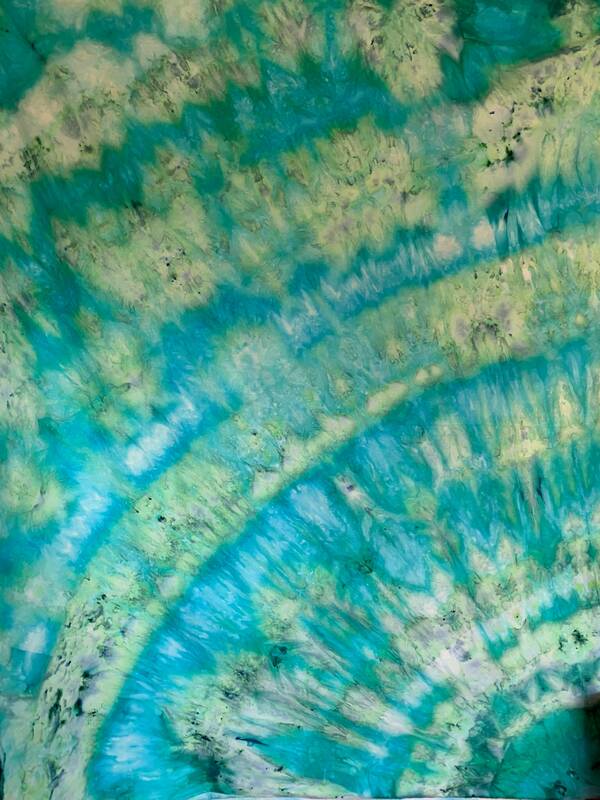 1 yard of ice style hand dyed 100% Kona cotton in Jade, a lovely deep teal with a few hints of the yellow and turquoise the break into a lovely swirls. 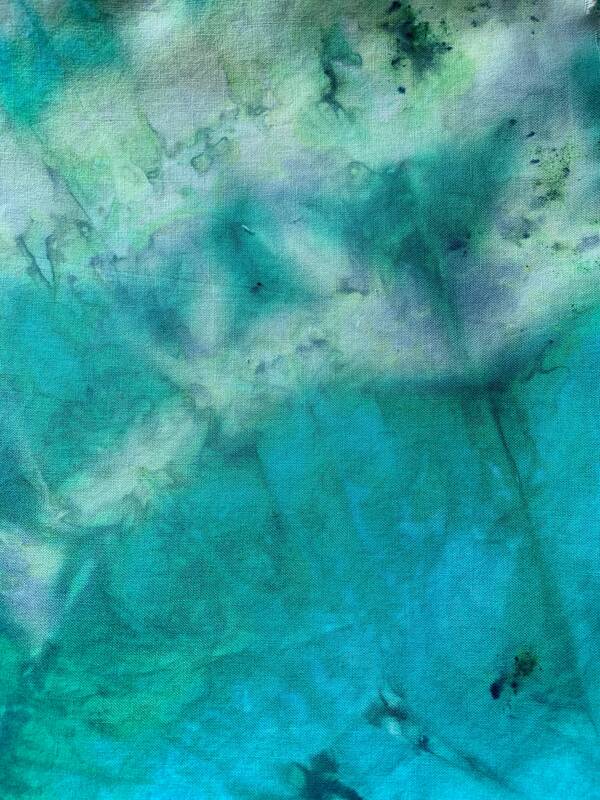 Pattern depends on how the ice melts and flows. 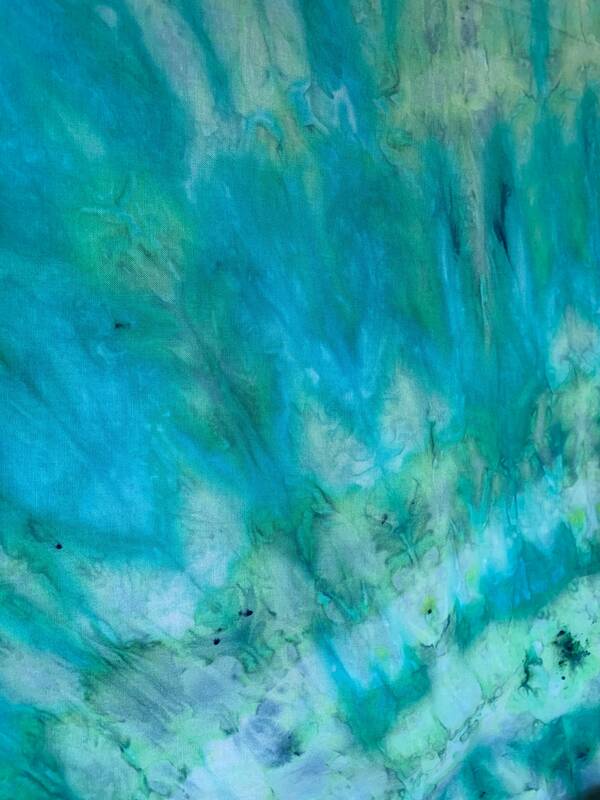 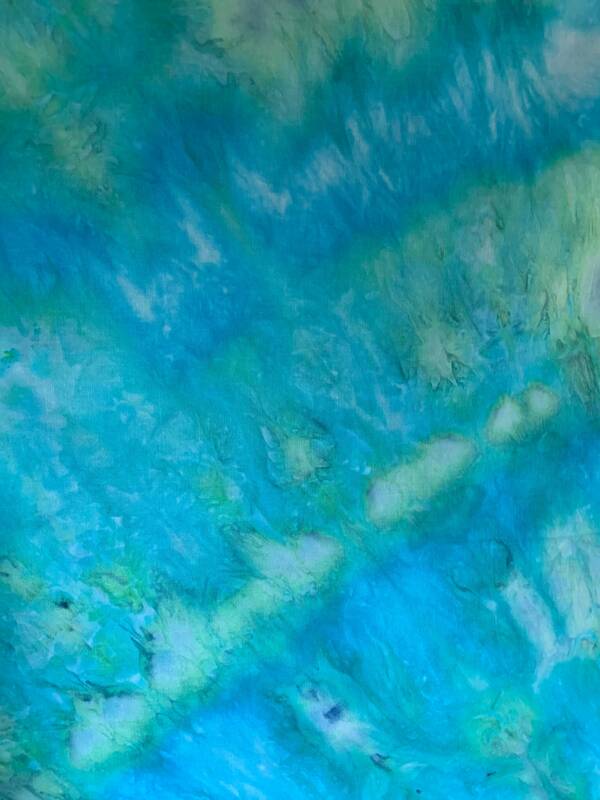 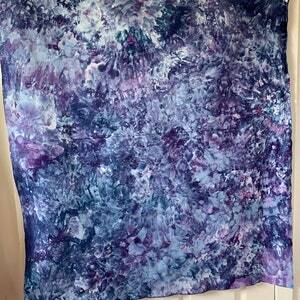 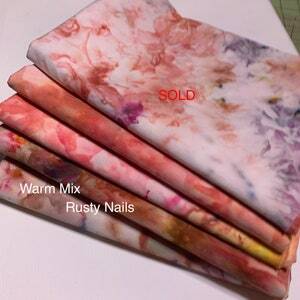 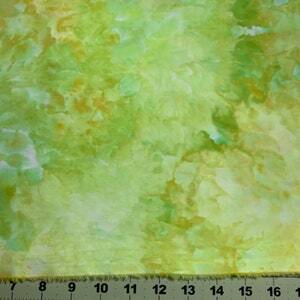 This fabric will make a lovely top or could be used as sashing in a modern quilt pattern. 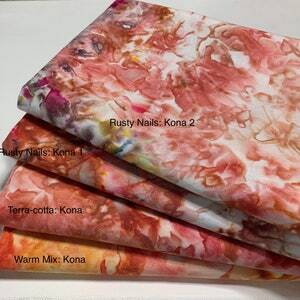 Use this fabric anywhere you would use Kona cotton.